Certified Nurse Aides serve as bedside professionals to the patients/residents in hospitals, skilled nursing facilities, long term care facilities and rehab clinics. They assist patients with eating, dressing, toileting, exercise, and other activities of daily living. Due to constant contact with patients, they function as the eyes and ears of doctors and nurses. Training programs endorsed by the Department of Regulatory Agencies prepare nurse assistants to observe and report abnormal signs and symptoms and could potentially save the lives of their patients. After completing the Pearson Vue administered state competency exam, Certified Nursing Assistants go on to work in long term care facilities in Pueblo and surrounding areas. 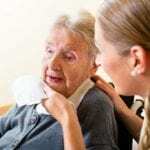 Rehabilitation hospitals and home health care agencies are other major employers of qualified nurse aides. Students complete the nurse assistant training program at IntelliTec College in just 16 days. Note that the length of the program pertains to graduating in normal time. The 4-week training program provides the classroom instruction, and hands-on skills students need to obtain an entry-level position as nurse assistants. IntelliTec features an innovative lab with modern equipment, veteran instructors with more than 40 years of combined experience, supervised clinical rotations at two of Pueblo’s renowned long term care facilities, state Board exam within four weeks of graduation, and choice of day or evening classes. Applicants must pass a criminal background check and TB skin test. The course fee is $625 plus extra for textbooks, uniform, course materials, gait belt, blood pressure cuff, stethoscope, criminal background check, immunization, and TB testing. IntelliTec College is an accredited member of the Accrediting Commission of Career Schools and Colleges. For more information about our graduation rates, the median debt of students who completed the program, and other important information, please visit their website. The nursing assistant training program at Pueblo Community College is available in the spring, summer, and fall semesters. Students can choose between day and evening schedules for the 8-week program (16 weeks for evening students). The 123-hour training exceeds the minimum federal requirements to ensure students acquire the skills and procedures needed to provide support to patients in long term care facilities, hospitals, and home health care settings. The course content includes basic nursing principles, infection control, vital signs, communication and interpersonal skills, patient hygiene, patient rights, safety and emergency, patient independence, death and dying. Tuition for the program is $893 and approximately $379 for books and supplies. Beo Personal Care Immersion Course is designed for new nursing assistants. Through a combination of classroom and clinical training over a period of 10 days (three weeks), students acquire the skills to pass the state nurse aide competency exam and succeed on the job. The first six days comprise of classroom instruction where students learn basic nursing principles, anatomy and physiology, infection control, observation and reporting, vital signs, law and ethics, and much more. The hands-on lab and pre-clinical day begins in the third week, followed by the clinical rotation. After completing the 92-hour training, students take the final exam and participate in a knowledge and skills review in preparation for the state exam. Applicants must be 18 years or older and have a GED or high school diploma. Acceptance into the program also depends on the outcome of a criminal background check, PPD test for tuberculosis, and payment of the $900 course fee. The course fee includes a set of scrubs, textbook and workbook, watch with second hand, blood pressure kit, gait belt, name badge, urine drug test, TB skin test, background check, and CPR training. AIM Home Health provides low-cost CNA training to residents of Pueblo and surrounding areas, enabling them to earn CNA certification in just four weeks. Graduates can choose flexible career options, join a growing sector in the healthcare industry, and enrich the lives of the patients they serve. The program is available on a morning schedule only. Classes meet from 8:30 am to 1:30 pm from Monday to Friday. The program includes classroom lectures and clinical experiences and covers topics such as vital signs, the role of the nursing assistant, personal hygiene, basic nursing skills, feeding and nutrition, and much more.